I agree. Lovely Font. I too wish they would post it again. 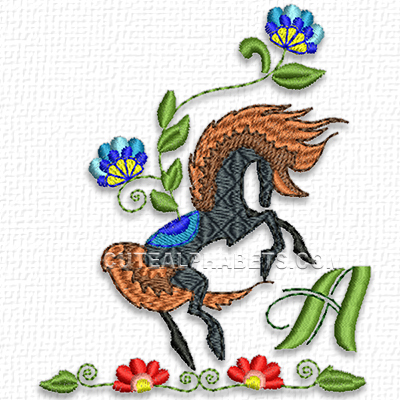 I only downloaded until the horses started repeating but the letters are so nice I am sorry I did not get them all. I like this font. I wish this font was still available on the site it appeared. Sorry, I don't know which one it was. this is a beautiful alphabet, I missed some and hoped this alphabet would be posted again. It is my favorite. thank you for sharing your talents with us. This is a beautiful alphabet. However, I missed 2 of the letters. B and C will they be posted again. thanks for all the free designs. I love this site.